In less than a couple of weeks, this year’s WWE United Kingdom Championship Tournament will air on the WWE Network as the company is reportedly moving forward with a UK-based ongoing series to air on its streaming service. While WWE’s aggressive expansion into the UK market was seemingly due to the return of World of Sport on ITV last year (which stalled only to recently get back on track), the UK scene has exploded of late (as has the wrestling industry in general). 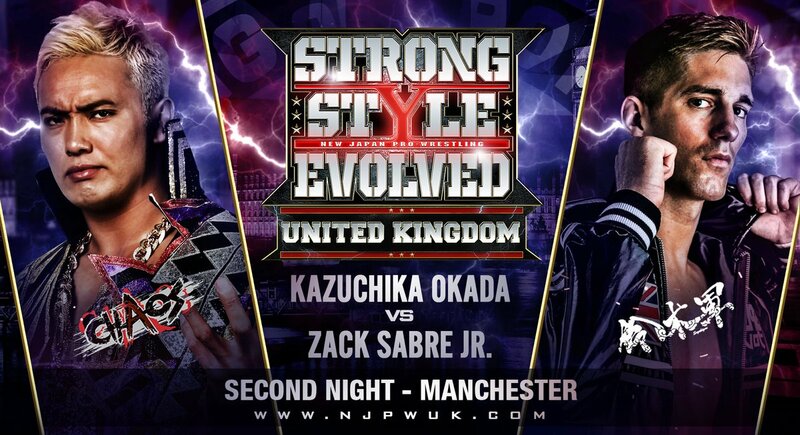 This is clearly evident by New Japan’s recent announcement of Strong Style Evolved UK N1 which happens only days after WWE airs its UK tournament. New Japan has already expanded its territory into the US in the last year and the UK is its latest bid to become a global brand like WWE. This has led to battle lines being drawn as WWE has made arrangements with UK promotions Insane Championship Wrestling and PROGRESS as well as snagging several of World of Sports’ stars while New Japan has formed an alliance with Revolution Pro Wrestling and prominently features Zack Sabre Jr (who participated in WWE’s inaugural Cruiserweight Classic), Will Ospreay, Marty Scurll, and “British Bulldog” Davey Boy Smith Jr. in its promotion (Ospreay and Smith are also both featured in upcoming episodes of World of Sport). However, these moves could very well only be the opening salvo for a much larger confrontation as WWE tries to bring its Network to every corner of the world and New Japan has been emboldened by its consistent significant growth to try and offer some semblance of competition since WWE consumed WCW and ECW to become the undisputed king of sports entertainment. The question then becomes what country will enter WWE and New Japan’s optics next.